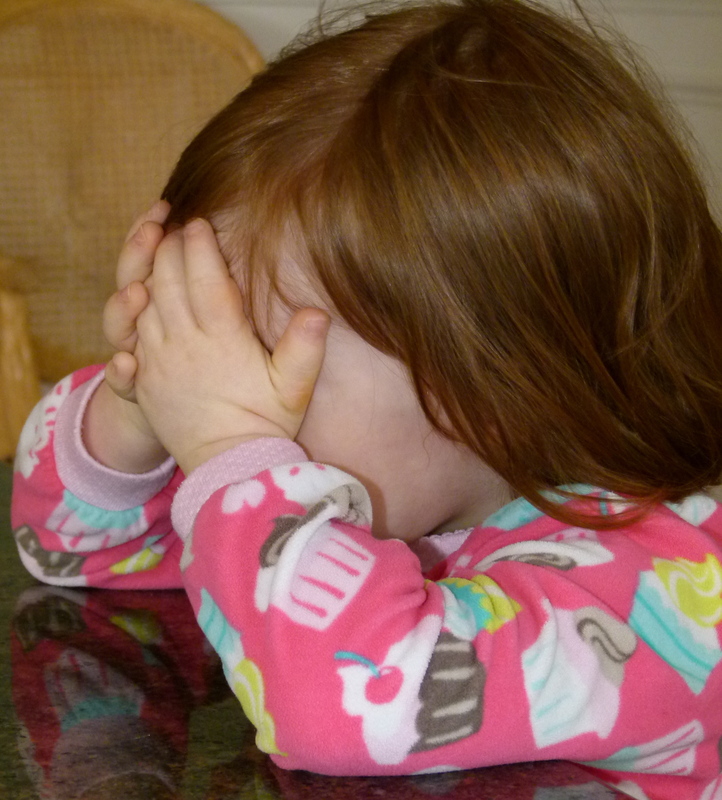 As we bowed our heads and listened to Bitty give thanks in her own little language while covering her eyes like she was playing a game of peek-a-boo, I caught a glimpse of our dinner guest, Emma Grace’s friend, smiling to herself. Sharing meals around the dinner table has always been a top priority in our home. Some of our best conversations and favorite memories have occurred at the dinner table. And last night was no exception. Most of our meals are far from the Norman Rockwell ideal, but somehow they seem far more richly colored. There’s always a lot of chatter and usually a bit of complaining, but there’s a power of oneness that occurs when we all gather together and share. Interestingly, the dynamics are quite the same… even with company. Last night, as the dinner conversation turned to Beau sharing his “spooky stories”, I watched Emma Grace’s friend marvel in the magic. “Spooky stories” are one of Beau’s favorites and involve the whole family making spooky noises when they hear their name called. We’re all too familiar with this ritual, but for our dinner guest, this was new territory. Our new friend didn’t miss a beat when she heard her name and responded with her best spooky sound. It was in this moment that I realized how good the company we keep is. Growing up, I had very little exposure to people with intellectual disabilities. And until Beau was born, knew very little about Down syndrome. 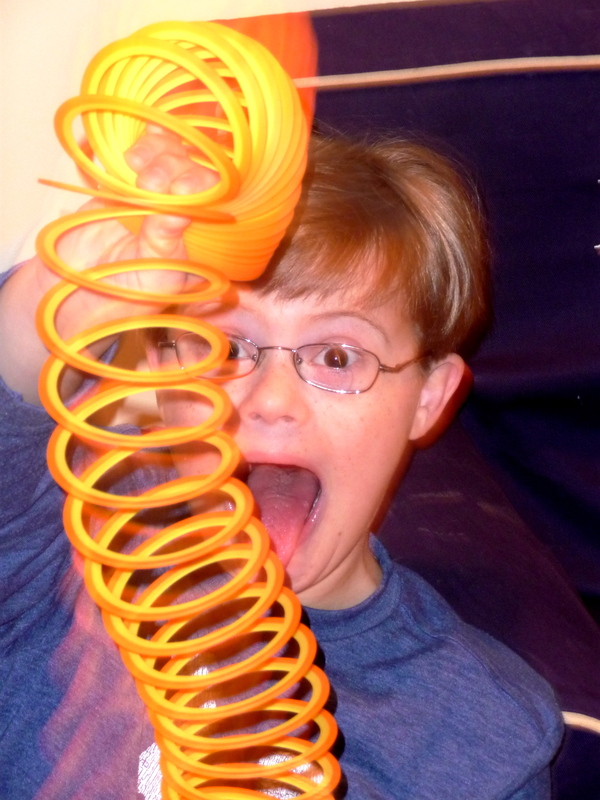 We quickly learned that having an intellectual disability is just ONE of the things that makes our children unique and special and that we are all much more alike than different. That’s a very easy conclusion to come to when you’re talking about your own family. What constantly amazes me, is how our friends have embraced this philosophy, too. And what’s even more incredible is the way our friend’s children have embraced it. By that measure, we have already been lifted to the Heavens. Beau asks for very little in life. To Beau, moments matter more than material possessions. He loves playing hide and seek, dancing with his sisters and taking very long showers. So when he recently became fixated on owning a collection of Toy Story toys, I couldn’t resist jumping in the car and heading straight to Toys R Us. The car ride was rich with conversation about how he couldn’t wait to get there and he must have thanked me no less than 10 times for taking him. With a proud refusal to ride in the shopping cart, Beau and I marched into the store like the king and queen of the prom. The wonder and excitement of aisle after aisle of new toys was not lost on my little guy. While he was clearly on a mission to find “Woody” and friends, he enjoyed each and every toy he encountered…sitting and talking to “Super Grover”, watching the penguin from Happy Feet tap his toes, making the dinosaur roar and laughing with one of his favorite Madagascar 3 characters, “Alex”. When we finally arrived at the Toy Story display, my heart sank. The inventory was sub-par and I was sure we were about to have a melt down. But Beau was hardly disappointed. In that moment, it became clear to me that this trip to Toys R Us was not really about bringing home something new, but rather enjoying what we already had….each other. Tonight, my mind is whirling with memories we made today. Watching Beau move from one toy to another, laughing and engaging them as if they were old friends is something I will never forget. And perhaps most interesting of all, the only toy Beau asked to bring home was a four dollar slinky.